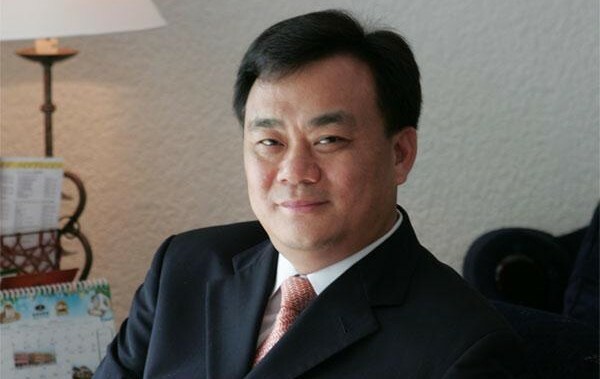 Jack Lam Yin Lok (pictured), a veteran investor in Macau junkets, has stepped down as chairman of Jimei International Entertainment Group Ltd, a Hong Kong-listed junket investment entity. Mr Lam is no longer an executive director of the company, Jimei International said in a filing on Wednesday. Yan Xu, an executive director of the company since May 11, has been appointed as chairman of the board, effective on Wednesday, the firm added. The company also announced a reshuffle in its board of directors, including the departure of Tsui Kin Ming as an executive director. The firm said that three non-executive directors have also stepped down, including Kwok Chi Chung, who serves as president of the Association of Gaming and Entertainment Promoters. Jimei International appointed new directors for its board. Luo Lei, who became an executive director on Wednesday, will serve as chief executive of the company, the firm said. Mr Luo, aged 47, was described in the filing as having a 15-year career in the television and film industry. He also has extensive working experience in the film and television advertisement industry, according to the filing. The changes in the board of directors follow a deal announced in April, in which Mr Lam sold a 65.05-percent stake in Jimei International to Cosmic Leader Holdings Ltd, a company incorporated in the Seychelles. The deal took place on April 7 for a maximum consideration of HKD443.2 million (US$57.0 million). Cosmic Leader is owned by Mr Yan – with an 80-percent interest in the company – and Chen Hong, who controls the remaining 20 percent, and who already had a stake of 0.04 percent in Jimei International. It had been said in a previous filing that Cosmic Leader planned to maintain Jimei International’s listing on the Hong Kong Stock Exchange. The document stated the new controlling shareholder also intended Jimei International to “continue its existing businesses”.